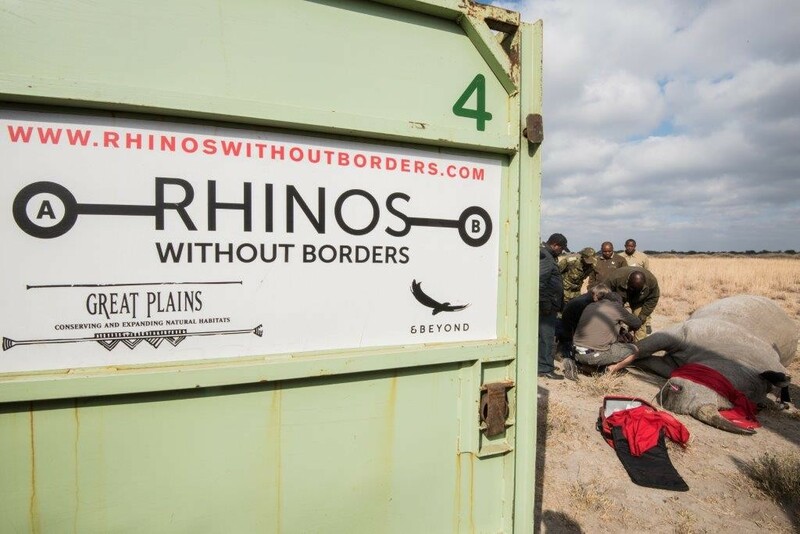 Set up with responsible conservation in mind, Rhinos Without Borders has a daily monitoring programme in place to keep a close eye on the health and safety of the rhino that the project has translocated from high risk areas in South Africa to the relative safety of Botswana. Spearheaded by conservation-minded travel companies andBeyond and Great Plains Conservation, the project aims to translocate 100 rhino from South Africa, where the animals are currently being poached at the rate of one every seven hours. Set up in 2014, the project has already successfully moved 25 rhino to Botswana, where a strong monitoring element has been required in support of the comprehensive security provided by Botswana’s Department of Wildlife and National Parks (DWNP). 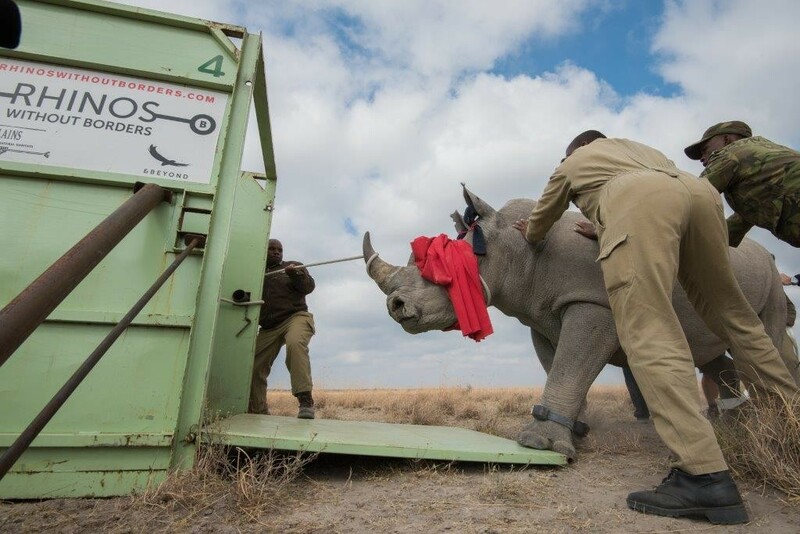 Intended to help set up a new breeding population of rhino, the first animals translocated to Botswana by Rhinos Without Borders were released in pristine wilderness areas where the species were not previously found. 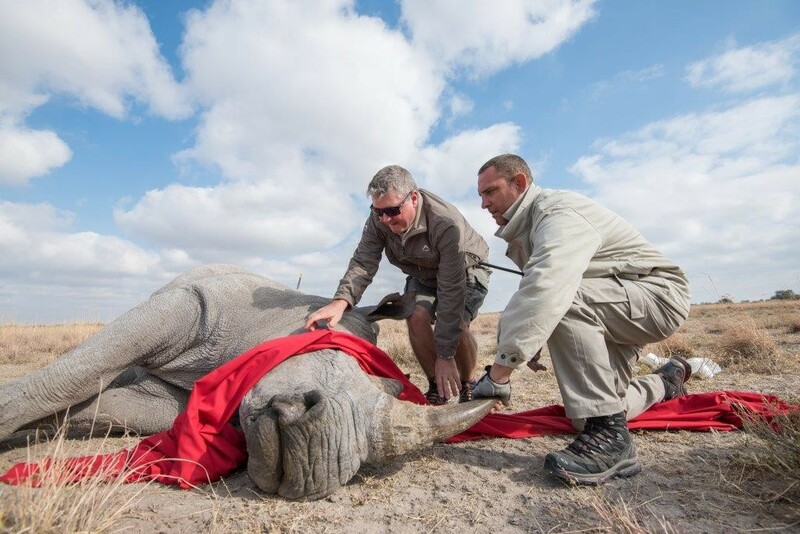 This meant that no existing rhino monitoring processes were in place in the release area. Committed to this important phase of the project, Rhinos Without Borders set about creating a monitoring framework to support the DWNP, employing full time teams and using the latest technology to keep a close eye on their charges. As more rhino have been translocated, the monitoring requirement has subsequently increased. Rhino Monitoring Coordinator Dr Sven Bourquin now oversees two teams of monitors, which use satellite and radio telemetry to track the movements of the translocated rhino on behalf of the DWNP. 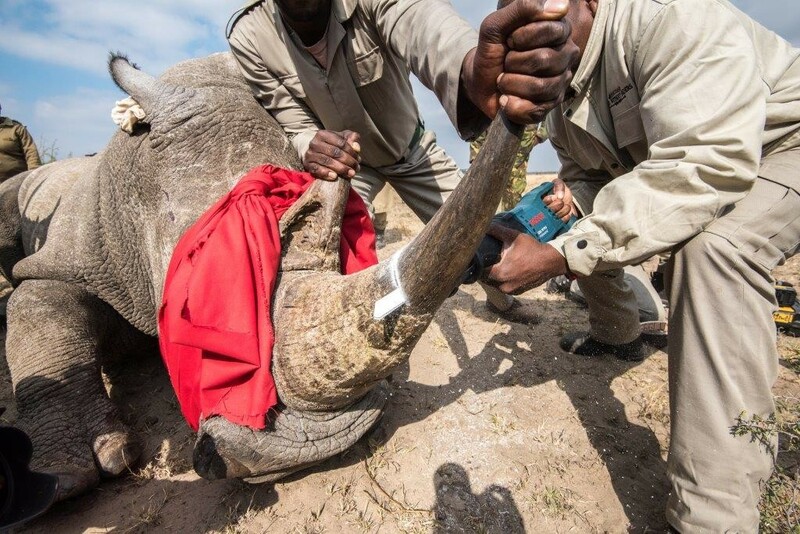 Prior to release, the rhino are fitted with horn implants as well as ankle bracelets that transmit continuous signals indicating their whereabouts. 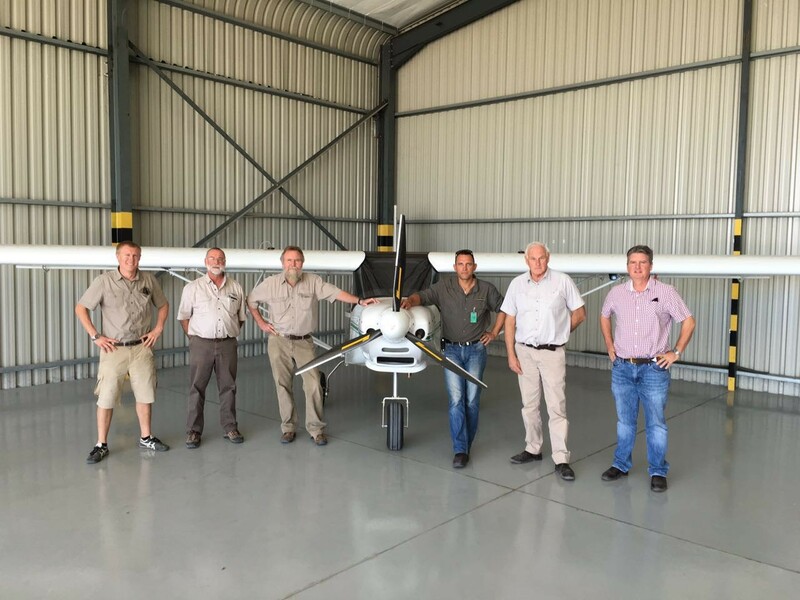 As many of the areas where the rhino have made their new home are remote and not easily accessible, Rhinos Without Borders recently purchased a dedicated patrol aircraft to better allow the rhino monitors to keep track of the animals’ movements. The data gathered by the Rhinos Without Borders monitoring teams is shared with Rhino Conservation Botswana, a non-governmental organisation set up to coordinate the monitoring of rhino in Botswana on behalf of the DWNP. The DWNP’s Anti Poaching Units, which provide security for the country’s dedicated wildlife areas work in partnership with the private sector in this activity. The Rhinos Without Borders monitoring teams were recently pleased to welcome some new arrivals when six Botswana-bred rhino were translocated from the Khama Rhino Sanctuary (KRS) to the Okavango Delta. Established as a rhino breeding sanctuary to help reintroduce these endangered animals to the wild areas of Botswana, the KRS had received seven rhino from a private game reserve in South Africa in a Rhinos Without Borders translocation in late 2015. With these rhino brought in to help diversify the gene pool at KRS, the sanctuary then donated six rhino bred at the facility to be moved to the Okavango Delta. 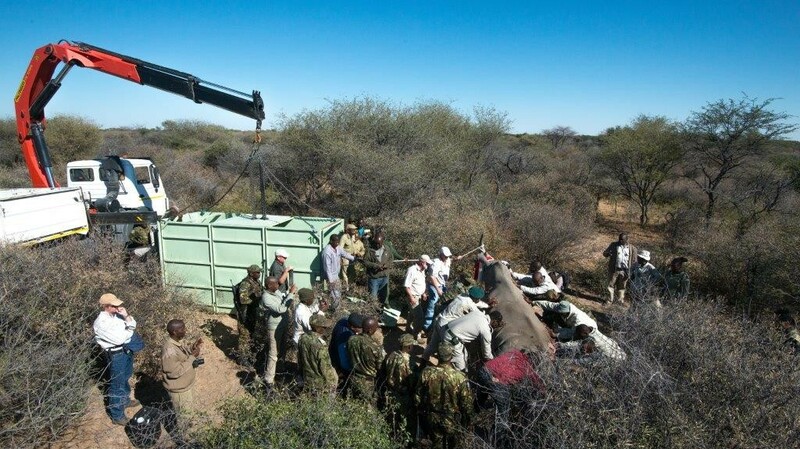 The translocation also served as the ideal opportunity for the Rhinos Without Borders team to train the KRS crew on translocation practices, ensuring that effective, safe and reliable skill training was reinforced for those operating in the Botswana conservation sector. Rhinos Without Borders continues to raise funds to allow for the safe movement of ever more rhino, with pledge and funding currently in place for the translocation of up to an additional 30 animals.